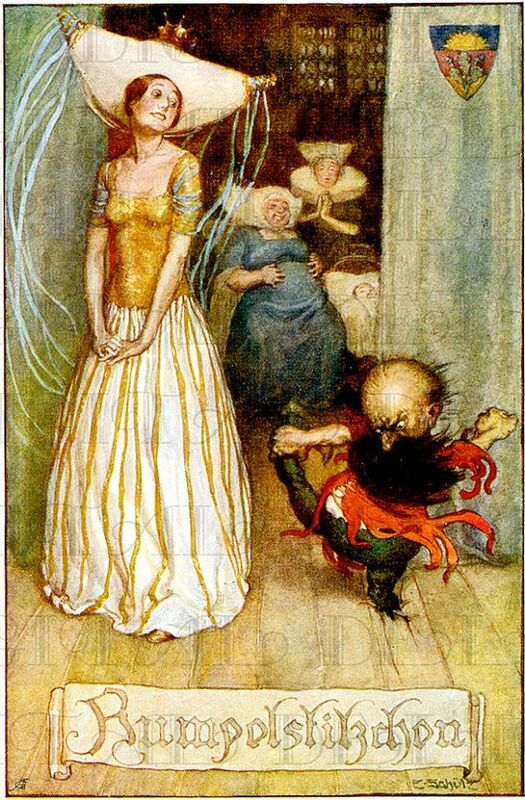 The fairy-tale of Rumpelstiltskin portrays the downfall of a morbid character who dies of suicide when his grandiose pretensions and sense of special entitlement are crushed. This imaginary elf is the model of certain patients who sustain a precarious, inflated self-organization through defensive overweening fantasy, but who are vulnerable to ego regression and suicide when their grandiose façades are compromised. The defensive grandiose-self of these patients is discussed according to Winnicott’s False Self formulation, and in terms of flawed superego structuring. They suffer from ego ideal malformations that invite fluctuations in self-esteem, ranging between profound shame and self-hate on one hand, to omnipotent hauteur on the other. Without reliable ego ideal identifications they must rely on chimerical self-fantasies to keep themselves together, pretending in one way or another to spin straw into gold. Lacking a dependable inner ideal, Rumpelstiltskin characters rely on idealized external objects for self-support. When such objects disappoint, as they almost invariably must, a switch from idealization to debasement occurs (object splitting) and they must be discarded—this is a moment of suicide vulnerability. Yet when reality intrudes too much and the grandiose-self cannot be maintained through the usual operations of distortion, projection, and denial, helped with buttressing from a sustaining external object, affective flooding will occur. Suicide may be attempted when the patients cannot endure the deluge of anguish, rage, and shame that follows narcissistic mischance.